August 8 , by Mardi Robyn. 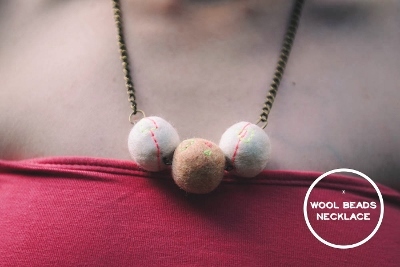 Have you ever wondered how to make wool beads? I have, thanks to this easy to follow tutorial, now I know, and you can to. In Daria’s tutorial you will learn how to make the beads and use them for a necklace. Learn how to make Wool Beads here.